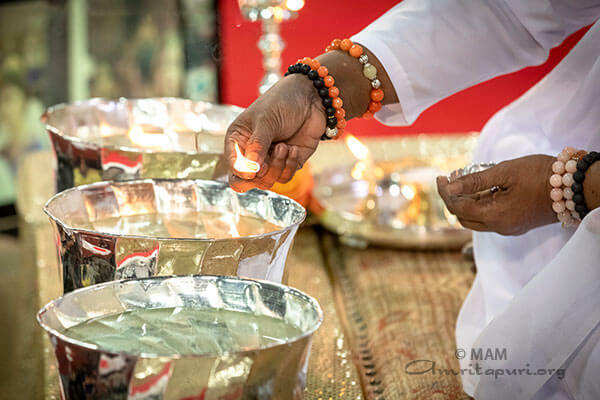 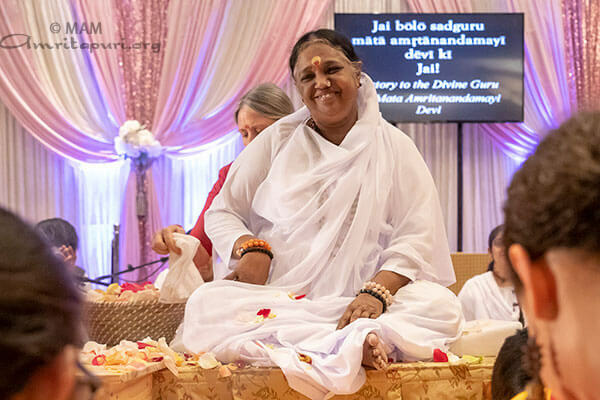 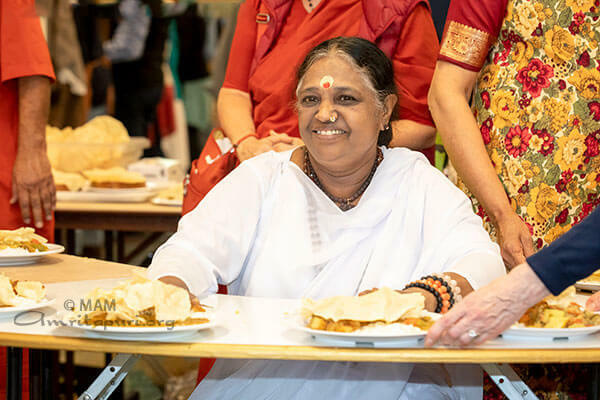 Amma returned to Detroit, Michigan for a full day public program, followed by a retreat and Devi Bhava. 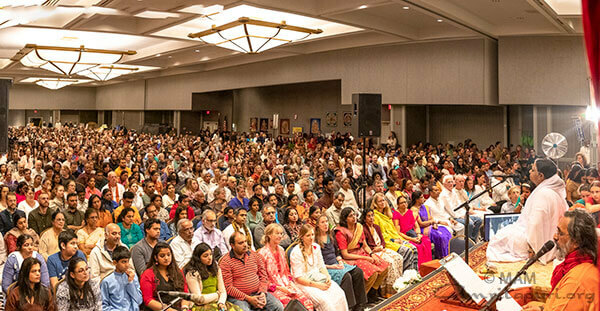 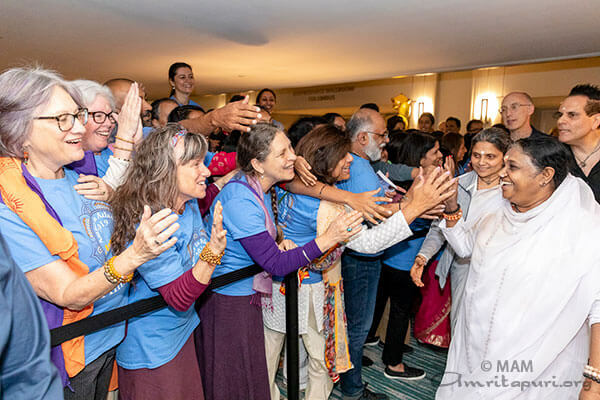 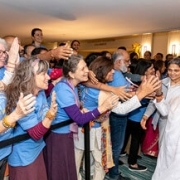 The Marriott Renaissance Center Hotel was filled with devotees from all over the US. 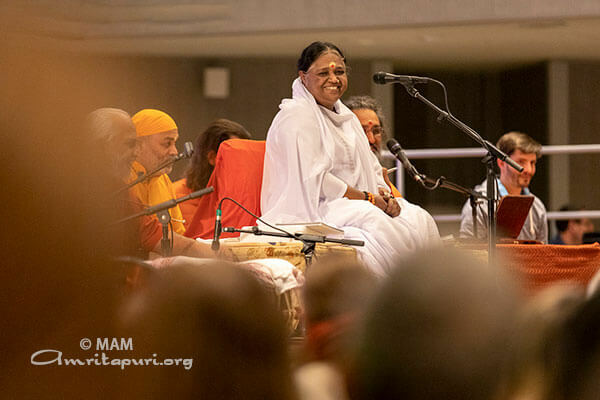 On the first public program day, Amma and the crowd were treated to a performance by a jazz duet featuring a pianist and a vocalist. 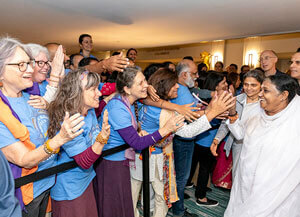 They were followed by the Song and Spirit Interfaith Choir whose devotional and melodious voices uplifted everyone in the hall. 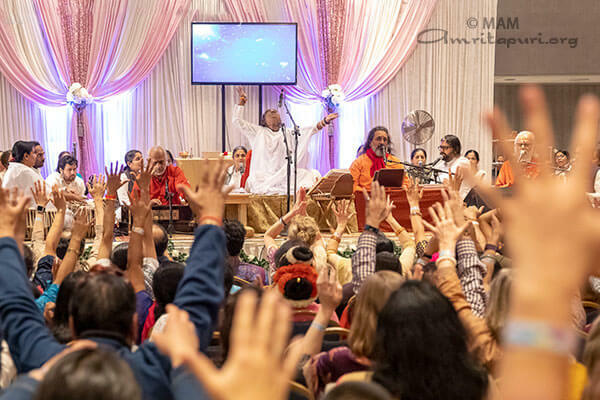 The second night of the retreat featured cultural performances from devotees around the region. 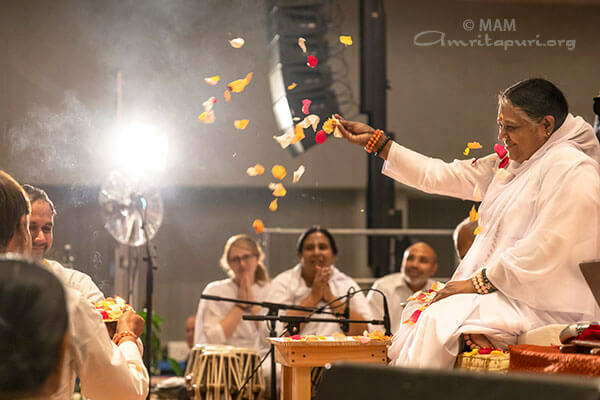 There was a traditional Gujurati dance. 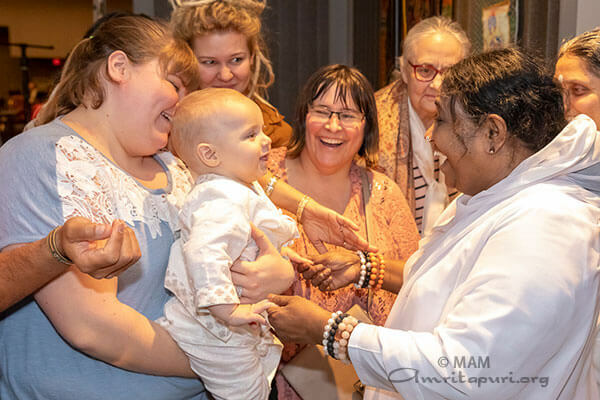 Local youth from AYUDH put on a play depicting stories about Krishna and how, even as a baby, Krishna’s actions serve as a role model for everyone.